Two opportunities to take a memoir class from me! All sorts of great classes to choose from at The Loft! Register by Feb. 6 and get an early-bird discount! The spring catalog from The Loft has arrived! I’m happy to announce that I’m teaching two classes, both on the craft of memoir. One class is a three-hour workshop at The Loft (downtown Minneapolis) from 9 a.m.-noon on Saturday, April 18. The class is titled “A Memory that Sticks: A Recipe for Memoir.” This class is perfect for anyone who has ever been told, “You should write about that!” But maybe you’re not sure where to start or how to write it. The class is designed both for people who think their story may have a wide audience or those who simply want to write a family history for relatives. 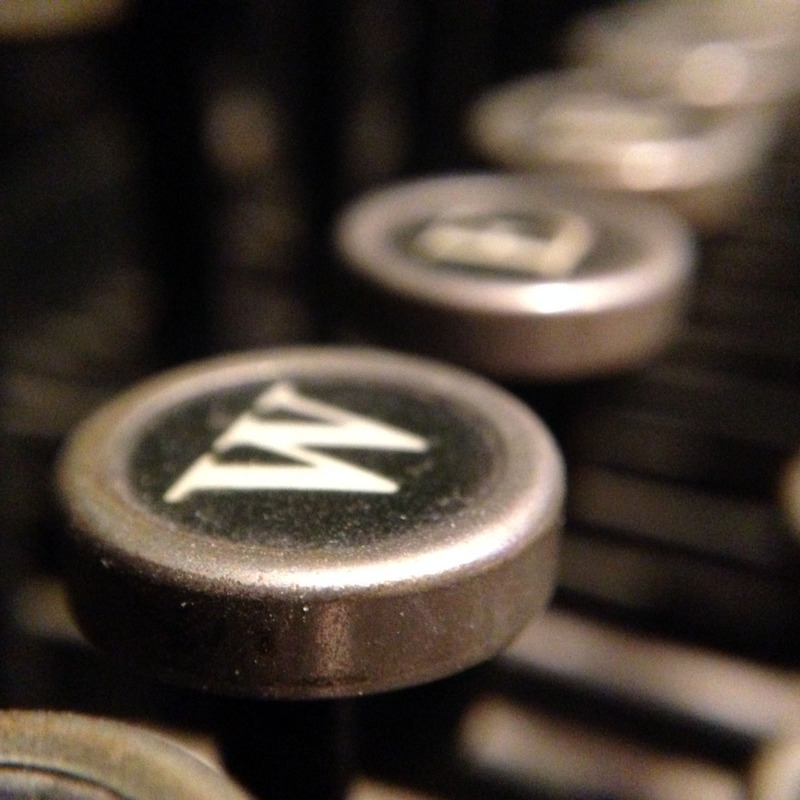 Typewriters are way cool, but they probably won’t help you access my online class. Photo by author. And if you can’t get to Minneapolis (or don’t want to! ), I’m also offering an eight-week online workshop titled “Answering the ‘So What?’ in Memoir.” This workshop will take you through the process of discovering the universal themes in your story that have a chance of resonating with a wider audience. I have been teaching variations on these workshops for almost two years. I have plenty of overall teaching experience through my position as an assistant professor of mass media at Minnesota State University, Mankato. I like to think that I’m a good teacher 🙂 They haven’t fired me yet! If you have any questions, please contact me. And if memoir or nonfiction isn’t your thing, The Loft offers awesome classes by awesome teachers in fiction, poetry, and the creative process, both in Minneapolis and online. Check out the class schedule, which you can find by clicking on the link in the first paragraph.